Violet Sandifer will dance the role of Clara with Olivia Lowentritt as the Sugar Plum Fairy and Dawson Gildig as the Nutcracker Prince in Fellom Ballet’s 11th Annual Traveling Nutcracker Nov. 30-Dec. 1. Sandifer attends Southeastern Louisiana University Laboratory School, Lowentritt attends Archbishop Hannan High School and Gildig is a student at Southeastern Louisiana University. 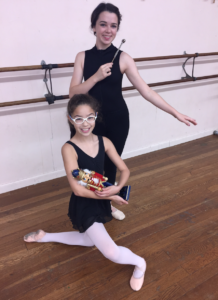 The “Land of Sweets” will come to life as nearly 30 Fellom Ballet intermediate and advanced dancers offer performances of a miniature, traveling “Nutcracker” Nov. 30 through Dec. 1 for school children, nursing home/assisted living residents and the general public. As part of Fellom Ballet’s commitment to arts in education, the cast will take their show on the road to Hammond Eastside Elementary Magnet School on Friday, Nov. 30. On Dec. 1, the cast will entertain residents of Hammond Nursing Home, Oak Park Village and Summerfield Senior Living before a public performance at 3 p.m. in a new venue – the Student Union Theater on the campus of Southeastern Louisiana University, located at 303 Texas Ave. in Hammond. Admission for the public performance is one non-perishable sweet or savory item to benefit The Tangi Food Pantry and Southeastern’s Student Food Pantry through a partnership with Southeastern’s Gamma Beta Phi Honor Society. Cookies and milk will be served following the 38-minute performance. Portraying Clara is Violet Sandifer, who attends Southeastern Louisiana University Laboratory School. Playing the role of Clara’s brother, Fritz, is Esther Kate Chance, who is homeschooled. 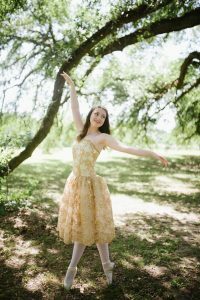 Olivia Lowentritt of Archbishop Hannan High School will dance the role of the Sugar Plum Fairy, and Southeastern Louisiana University student Dillon Maloney will reprise his role as the Rat King. Guest artists Dawson Gildig of Southeastern Louisiana University and Mick Hawkins of Hammond will portray the Nutcracker Prince and Godfather Drosselmeyer respectively. The cast also includes (in order of appearance): Clara’s Friends Rowyn Fletcher of Hammond Eastside Elementary Magnet School and Lily Anderson of Southeastern Louisiana University Laboratory School; Fritz’ Friends Molly Graff of Holy Ghost Catholic School, Averyl Fisher (homeschooled) and Amelia McKinney of Hammond Eastside Elementary Magnet School; Ballerina Doll Lola Fletcher of Hammond Eastside Elementary Magnet School; Soldier Doll Emma Miranda of Albany High School; Harlequin Doll Aly O’Flynn (homeschooled); Snowflakes Mia Piazza of Regina Coeli Child Development Center, Carli Anderson of Holy Ghost Catholic School, and Caroline Casey and Juliette LeRay of Saint Thomas Aquinas Regional Catholic High School; Spanish Amelie Dupuy (homeschooled) and Claire Folks of Louisiana Virtual Charter Academy; Arabian Emma Hood of Albany Middle School; Chinese Abigail Bates of Saint Thomas Aquinas Regional Catholic High School; Russians Eliot Chance (homeschooled) and Dillon Maloney; Marzipan Candice Alford of Southeastern Louisiana University Laboratory School, Lily Bertucci (homeschooled), Penny Lentini of Holy Ghost Catholic School and Kendall Duncan of Hammond Eastside Elementary Magnet School; and Flowers Amanda Babin and Emma Dare Chance (homeschooled), Emily Chalona of Lancaster Elementary School; and Katherine Thompson of Albany Middle School. This marks the eleventh consecutive year that Fellom Ballet has presented the traveling Nutcracker as a community service project. Cynthia Fellom Tricou will serve as narrator of the ballet that was choreographed this year by Faith Allen, Kelly Domiano, Claire Draper, Maggie Oldendorf and Katherine Schepker. For more information, call Fellom Ballet at (985) 974-3996. 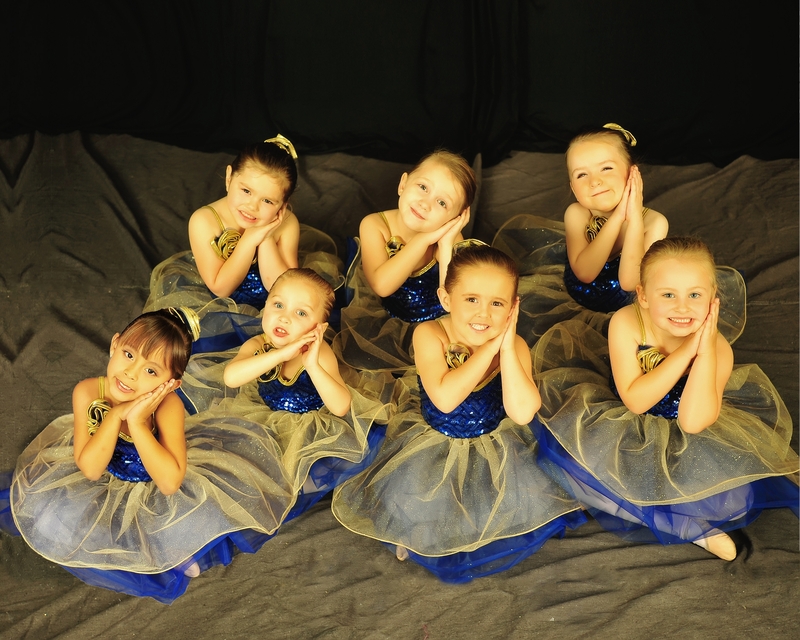 You also can get more information by visiting www.fellomballet.com or the studio’s Facebook page. 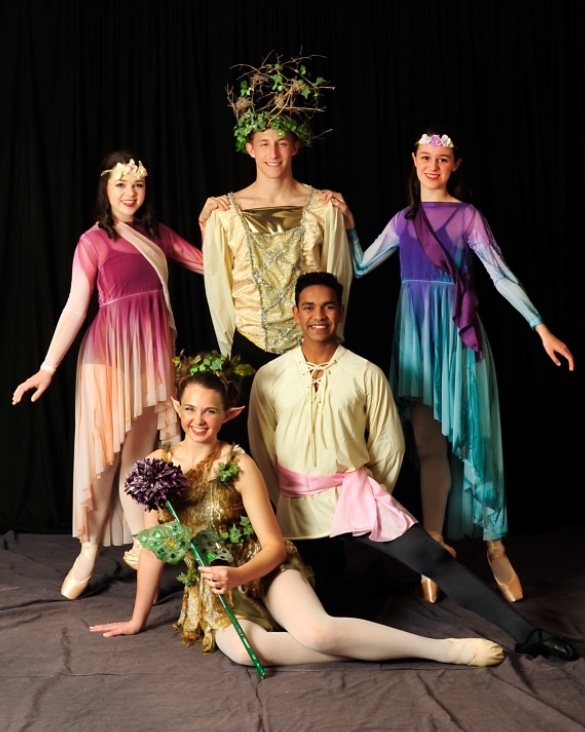 Clockwise, from left, are Taylor Gautreaux as Hermia, Dawson Gildig as Oberon, Emily Montelepre as Helena, Vibriyogn Epuri as Lysander and Katherine Schepker as Puck in William Shakespeare’s “A Midsummer Night’s Dream” presented by Fellom Ballet May 11 at the Columbia Theatre for the Performing Arts. 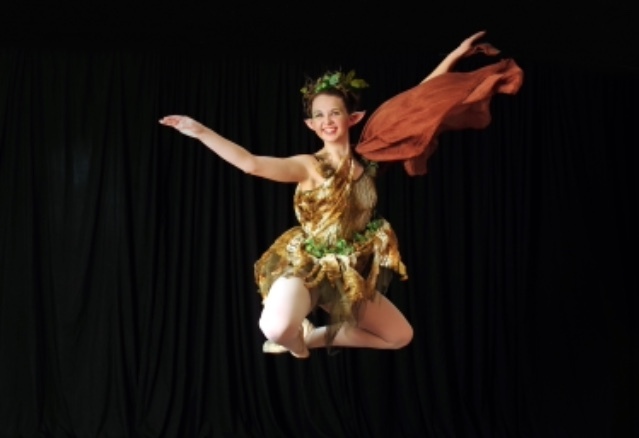 Fellom Ballet will present William Shakespeare’s A Midsummer Night’s Dream Friday, May 11 at 7 p.m. at the Columbia Theatre for the Performing Arts in Hammond, Louisiana. Ticket prices range from $17 to $20 and can be purchased by visiting or calling the Columbia Theatre Box Office at (985) 543-4371 between the hours of 11 a.m. and 4 p.m. on weekdays, as well as 1 hour prior to the performance. Tickets also may be purchased online at www.columbiatheatre.org. In support of arts in education, a school performance also will be staged May 11 at 9:30 a.m. Reservations are still being accepted from area schools for the May 11 performance at 9:30 a.m. Interested schools should call the Columbia Theatre at (985) 543-4366 or visit www.columbiatheatre.org for more information. Fellom Ballet’s production of A Midsummer Night’s Dream is told in 70 minutes as adapted for children’s ballet by Martie Fellom and features the works of musical composer Felix Mendelssohn (1809-1847). In this adaptation of Shakespeare’s charming and funny tale, magic happens when the Elfin Forest King Oberon, Fairy Queen Titania and the mischievous Puck’s paths intertwine with those of Athenian citizens wandering about in the enchanted Elfin Forest. Principal dancers include: Katherine Schepker as Oberon’s favorite fairy, Puck; Taylor Gautreaux as Hermia; Emily Montelepre as Helena; and Eastin Braud as the Changeling Boy. Dancing the role of Titania, Queen of the Fairies, are Abigail Russell for the public performance and Faith Allen for the education outreach performance. Portraying Lysander for the education outreach performance will be Jeremy Lloyd with Vibriyogn Epuri set to dance the role for the public performance. Titania’s Fairies include: Gabi Alford as Cobweb; Katie Amos as Mustard Seed; Caroline Casey as Mirth; Juliette LeRay as Moth; Olivia Lowentritt as Sage; and Emma Miranda as Peasblossom. 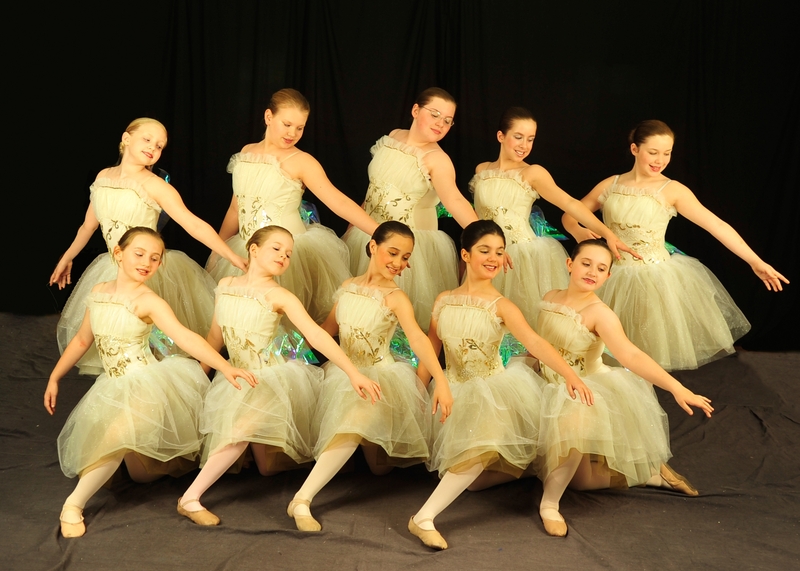 Dancing as Oberon’s Fairies are: Eliot Chance, Claire Folks, Emma Hood, Amelie Lemoine, Mia Piazza and Abigail Thompson. Comprising the Athenian Court are: Carli Anderson, Amanda Babin, Kate Bornkessel, Emma Dare Chance, Lola Fletcher, Sophia Hanna, Adelyn Lemoine and Gabrielle Reggio. Love-in-Idleness Elves include: Tyler Labbe and Dillon Maloney. Love-in-Idleness Pixies are: Candice Alford, Lilly Bertucci, Emily Chalona, Kendall Duncan, Averyl Fisher, Rowyn Fletcher, Molly Graff, Addyson Karmeisool, Penny Rose Lentini, Amelia McKinney, Aly O’Flynn, Violet Sandifer and Katherine Thompson. Fireflies include: Lily Anderson, Gabby Baldwin, Piper Bjornsen, Evan Braud, Caragen Catlin, Esther Kate Chance, Addisyn Cunningham, Sarah Dreher, Anna Johnson, Baylynn LaMarca, Ryann Lindsey, Grace O’Neill and Macauley Richardson. Forest Fairies are: Eliza Kate Cowser, Brinley Cummins, Aubrey Dearie, Riley Fleming, Francesca Hanna, Jakelyn Latino, Rachel Lobue and Ella Joy Pearce. Dragonflies include: Abbey Alford, Anna Carter, Adia Fisher, Elsie Gohres, AnnaBeth Trigo and Audrey Vicknair. Dancing as Butterflies are: Estella Braud, Genevieve Guillot, Hayden Horzelski, Brooklyn Karmeisool, Nataly Kennedy, Juliana Montelepre, Brigid O’Neill, Annabelle Traylor and Kelsey Tricou. 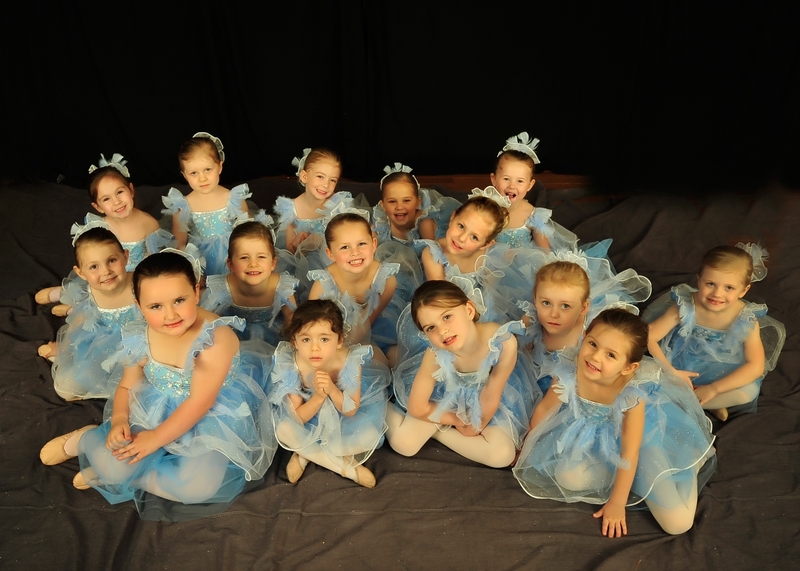 Lullaby Fairies include: Emmalee Ballay, Kimberlyn Bonanno, Madelyn Brockman, Emma Carroll, Ella Grace Cunningham, Emersyn Durnin, Lily Bel Edwards, Mackenzie Griffin, Annie Grob, Juliana Heroman, Sia Pace, Charlotte Titus, Presley Torbergsen, Adelyne Travis, Kimberly Vega, Skylar Vining, Fiona Waller and Sage Waller. Special guest artists include: Angela Babin as Hippolyta, Queen of the Amazons; Todd Babin, as Egeus, Hermia’s father; Dawson Gildig as Oberon, King of the Elfin Forest; Mick Hawkins as Theseus, Duke of Athens; Lester Savoie as Bottom, a comedy actor from Athens; and Brandon Sciortino as Demetrius. Instructors appearing on stage include: Faith Allen as a Butterfly Sprite; Kelly Domiano as the Damselfly Sprite; Cynthia Fellom-Tricou as the Good Night Fairy; Katie Stansbury as the Sweet Dreams Fairy; and Maggie R. Oldendorf as the Fairy of the Night. Choreographers include: Faith Allen, Kelly Domiano, Claire Draper, Maggie R. Oldendorf, Katie Stansbury and Cynthia Fellom Tricou. Cynthia Fellom Tricou, Martie Fellom and Maggie R. Oldendorf serve as artistic directors, and narrator is Avril Font. To register dancers for upcoming summer programs or the 2017-2018 studio schedule, visit www.fellomballet.com or call Fellom Ballet Business Director Michelle Bates at (985) 974-3996. 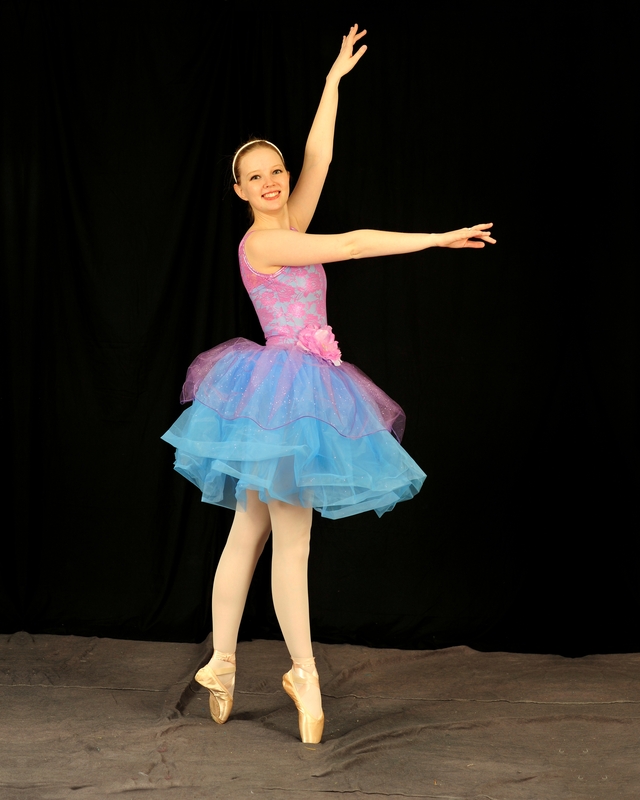 From left, Abigail Russell, of Denham Springs High School, will dance the role of the Sugar Plum Fairy. 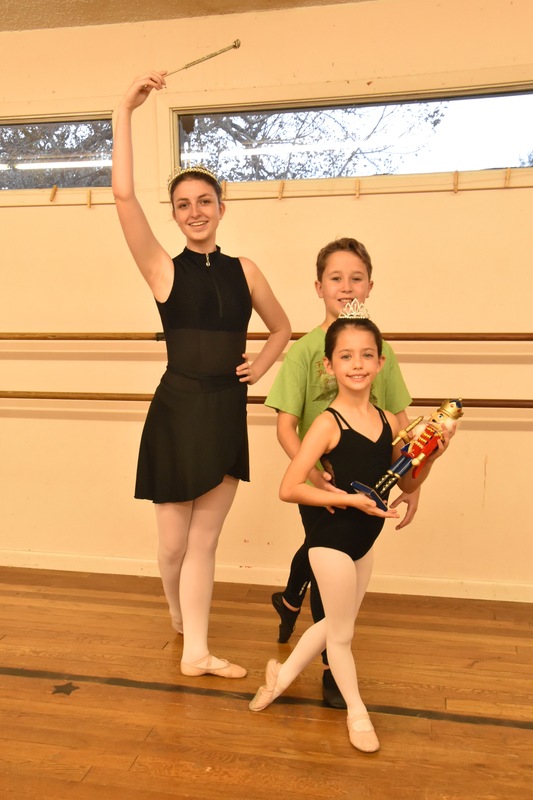 Tyler Labbe, of Hammond Eastside Elementary Magnet School, will portray the Nutcracker Prince, and Penny Rose Lentini, who attends Holy Ghost Catholic School, will portray Clara. 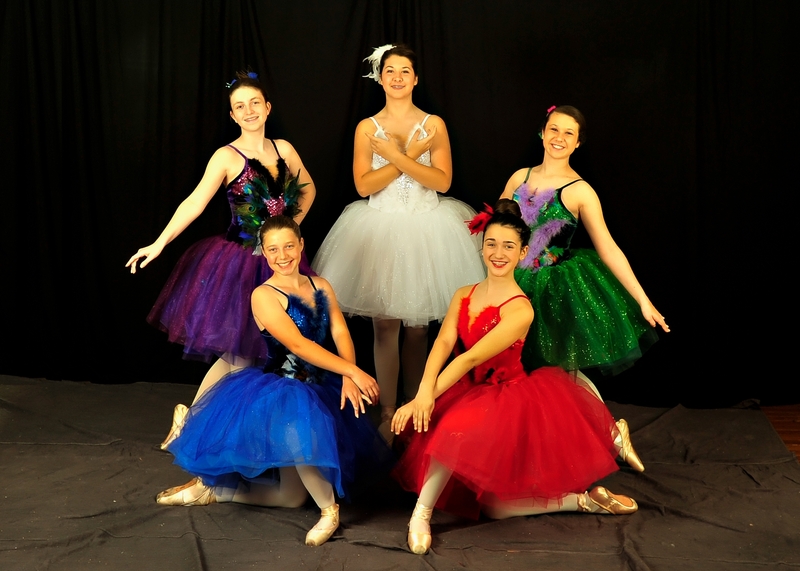 The “Land of Sweets” will come to life as 35 Fellom Ballet intermediate and advanced dancers offer performances of a miniature, traveling “Nutcracker” Dec. 1 through Dec. 2 for school children, nursing home/assisted living residents and the general public. As part of Fellom Ballet’s commitment to arts in education, the cast will take their show on the road to Hammond Eastside Magnet School on Friday, Dec. 1. On Dec. 2, the cast will entertain residents of Hammond Nursing Home and Live Oak Village before a public performance at 3 p.m. at St. Albert the Great Chapel and Catholic Student Center, 409 W. Dakota St., Hammond. Admission for the public performance is one non-perishable “sweet” (boxed cake, pie or cookie mixes) to benefit The Tangi Food Pantry. Guests will be invited to decorate cookies and enjoy hot chocolate following the 38-minute performance. Portraying Clara is Penny Lentini, who attends Holy Ghost Catholic School. Playing the role of Clara’s brother, Fritz, is Aly O’Flynn, who is homeschooled. 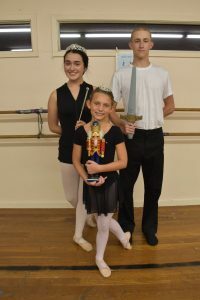 Abigail Russell, of Denham Springs High School, will dance the role of the Sugar Plum Fairy, and Tyler Labbe, of Hammond Eastside Elementary Magnet School, will portray the Nutcracker Prince. Dillon Maloney of Springfield will reprise his role as the Rat King with Mick Hawkins of Hammond portraying Godfather Drosselmeyer. The cast also includes (in order of appearance): Candice Alford of Southeastern Louisiana University Laboratory School, Lilly Bertucci (homeschooled), Kendall Duncan of Hammond Eastside Elementary Magnet School, Averyl Fisher (homeschooled), Molly Graff of Holy Ghost Catholic School and Amelia McKinney of Hammond Eastside Elementary Magnet School as Clara’s Friends; Emily Chalona and Rowyn Fletcher of Hammond Eastside Elementary Magnet School, as well as Addyson Karmeisool, Violet Sandifer and Hailey White of Southeastern Louisiana University Laboratory School as Fritz’s Friends; Ballerina Doll Mia Piazza (homeschooled); Soldier Doll Katherine Thompson of Hammond Eastside Elementary Magnet School; Harlequin Doll Caroline Casey of St. Thomas Aquinas Regional Catholic High School; Snow Queen Katie Amos of St. Thomas Aquinas Regional Catholic High School; Snowflakes Amanda Babin and Emma Dare Chance (home-schooled); Spanish Olivia Lowentritt of Archbishop Hannan High School; Arabians Taylor Gautreaux and Katherine Schepker of Hammond High Magnet School; Chinese Emily Montelepre (homeschooled); Russians Vibriyogn Epuri of Hammond High Magnet School and Emma Miranda of Albany High School; Marzipan Principal Claire Folks of Louisiana Virtual Charter Academy; Marzipan Ivey Alford (homeschooled) and Emma Hood of Albany Middle School; Bon Bons Eliot Chance (home-schooled), Lola Fletcher of Hammond Eastside Magnet School and Sophia Hanna of Ponchatoula High School; Dew Drop Fairy Alana Knight of Ponchatoula High School; and Flowers Gabi Alford (homeschooled), Amelie Dupuy (homeschooled) and Juliette LeRay of St. Thomas Aquinas Regional Catholic High School. This marks the tenth consecutive year that Fellom Ballet has presented the traveling Nutcracker as a community service project. Cynthia Fellom Tricou will serve as narrator of the ballet that was choreographed this year by Faith Allen, Kelly Domiano, Claire Draper and Emily Randon. For more information, call Fellom Ballet at (985) 974-3996. You also can get more information by visiting the studio’s Facebook page. 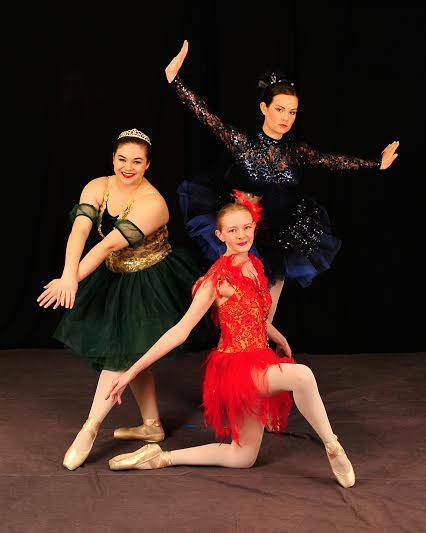 From left are Hannah Tribou as Brunhilde, Taylor Gautreaux as Princess Vivian and Vibriyogn Epuri as the Prince Josef in “The Frog Prince” presented by Fellom Ballet May 12 at the Columbia Theatre for the Performing Arts. 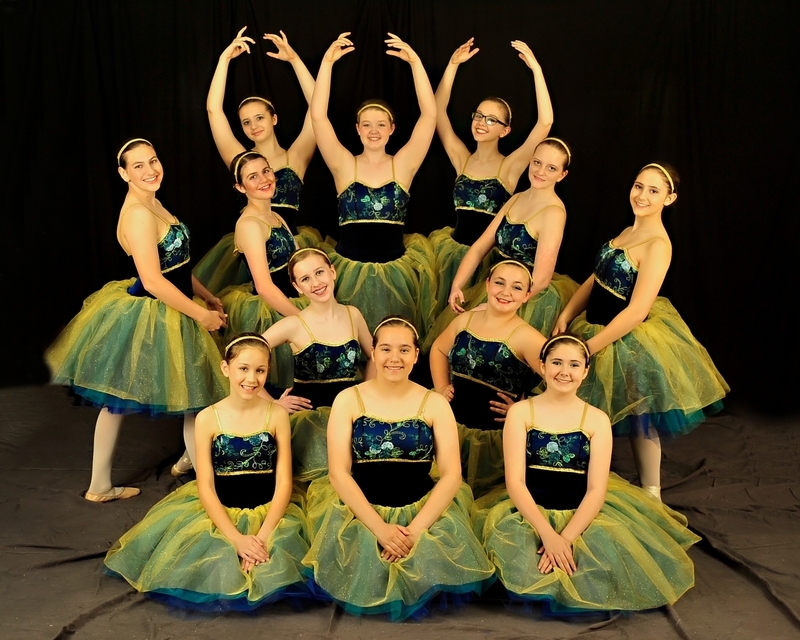 Fellom Ballet will present “The Frog Prince” Friday, May 12 at 7 p.m. at the Columbia Theatre for the Performing Arts in Hammond, Louisiana. In support of arts in education, a school performance also will be staged May 12 at 9:30 a.m. Reservations are still being accepted from area schools for the May 12 performance at 9:30 a.m. Interested schools should call Columbia Theatre Administrative Coordinator Beanie Stansbury at (985) 543-4366 or visit www.columbiatheatre.org for more information. Fellom Ballet’s telling of the Brothers Grimm’s “The Frog Prince” is told in a prologue and three acts with a 1-hour running time as adapted by Martie Fellom. The score features the musical compositions of Camille Saint-Saëns (1835-1921). The ballet centers on a spoiled princess named Vivian, who meets a kind and polite frog, who is actually a prince named Josef under the spell of Brunhilde, a spiteful fairy. In the course of carrying out three promises she makes to the Frog Prince in return for rescuing her crown from a well, Princess Vivian finds true love with Josef and breaks the spell. Ultimately, the couple weds and learns that it doesn’t matter what you look like on the outside; it’s what’s on the inside that counts. Principal dancers are: Taylor Gautreaux as Princess Vivian; Vibriyogn Epuri as the Frog Prince; Hannah Tribou as Brunhilde; and Emily Montelepre, Abigail Russell and Katherine Schepker as Brunhilde’s Followers. Dancing as Spirits of the Wind are: Caroline Casey, Sidney Harvey, Alana Knight, Juliette LeRay, Emma Miranda, Katherine Tribou and Lizzie Zaffuto. Visiting Princesses include: Carli Anderson, Kate Bornkessel, Kennedy Bubrig, Eliot Chance, Amelie Dupuy, Claire Folks, Sophia Hanna, Emma Hood, Amelie Lemoine, Leah Mapes, Katelyn Meyers, Mia Piazza and Abigail Thompson. Fireflies are: Amanda Babin, Emily Chalona, Emma Dare Chance, Isabella Delpidio, Kendall Duncan, Lola Fletcher, Sienna Guillot, Anna Grace Hornbuckle, Addyson Karmeisool, Adelyn Lemoine, Dillon Maloney, Aly O’Flynn and Katherine Thompson. Court Confectioners include: Morgan Adams, Lily Anderson, Esther Kate Chance, Aubrey Dearie, Averyl Fisher, Madeleine Frederick, Tyler Labbe, Penny Rose Lentini, Ryann Lindsey, Amelia McKinney, Grace O’Neill and Ella Joy Pearce. Handmaidens are: Candice Alford, Rowyn Fletcher, Lily Gautier, Molly Graff, Francesca Hanna, Jakelyn Latino, Annelise Lemoine, Annabelle Owen and Violet Sandifer. Emerson Fletcher is the Squire. Butterflies include: Abbey Alford, Avery Anderson, Caragen Catlin, Eliza Kate Cowser, Addisyn Cunningham, Emma DeJean, Riley Fleming, Edi Foster, Natalie Fulks, Bailey Harper, Baylynn LaMarca, Rachel Lobue and Audrey Vicknair. Dancing as Roses are: Victoria Aleman, Jasmine Dufour-Asi, Lily Frederick, Caden Knight, Brielle Newton, Brigid O’Neill, Oliva Peltier and Kelsey Tricou. Wee Frogs include: Eastin Braud, Estella Braud, Madelyn Brockman, Ella Grace Cunningham, Adia Fisher, Elsie Gohres, Genevieve Guillot, Brooklyn Karmeisool, Lochlynn McNamara, Katelyn Perk, Emma Grace Smith, Charlotte Titus, Presley Torbergsen, Annabelle Traylor and AnnaBeth Trigo. Choreographers include Faith Allen, Katherine Brown, Kelly Domiano, Emily Montelepre, Emily Randon, Maggie Rownd, Cynthia Fellom Tricou. Artie Fellom Gautier, Cynthia Fellom Tricou, and Martie Fellom serve as artistic directors, and narrator is Avril Font. Instructors appearing on stage include: Faith Allen and Hayley Novak as Dragonflies; Cynthia Fellom-Tricou as Mother Frog; Emily Randon as a Lady-in-Waiting; and Maggie Rownd as the Confectioner Chef. To register dancers for upcoming summer programs or the 2017-2018 studio schedule and cast of “A Midsummer Night’s Dream,” visit www.fellomballet.com or call Fellom Ballet at (985) 974-3996. 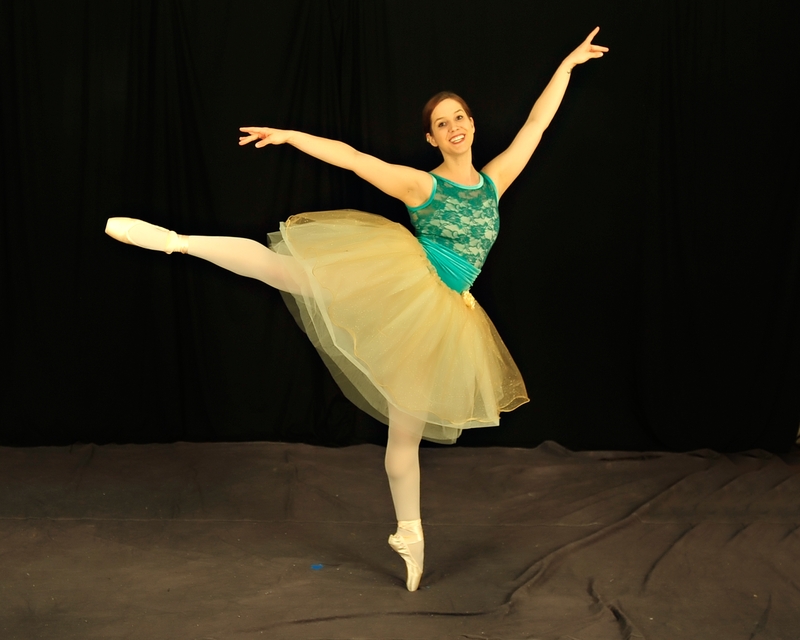 Sienna Guillot will dance the role of Clara with Taylor Gautreaux as the Sugar Plum Fairy in Fellom Ballet’s 9th Annual Traveling Nutcracker Dec. 2-3. Guillot attends St. Joseph Catholic School and Gautreaux attends Hammond High Magnet School. 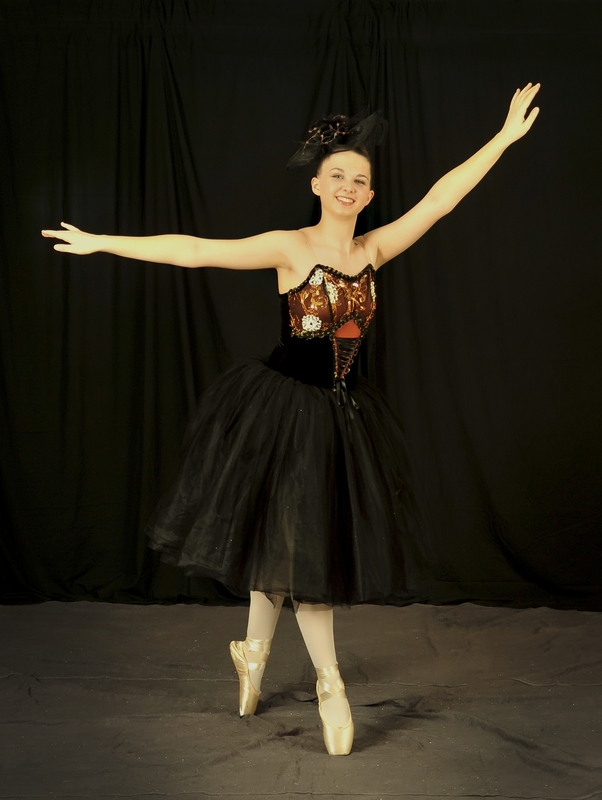 Sienna Guillot will dance the role of Clara with Taylor Gautreaux as the Sugar Plum Fairy in Fellom Ballet’s 9th Annual Traveling Nutcracker Dec. 2-3. Guillot attends St. Joseph Catholic School and Gautreaux attends Hammond High Magnet School. [/caption]Sienna Guillot will dance the role of Clara with Taylor Gautreaux as the Sugar Plum Fairy in Fellom Ballet’s 9th Annual Traveling Nutcracker Dec. 2-3. Guillot attends St. Joseph Catholic School and Gautreaux attends Hammond High Magnet School. 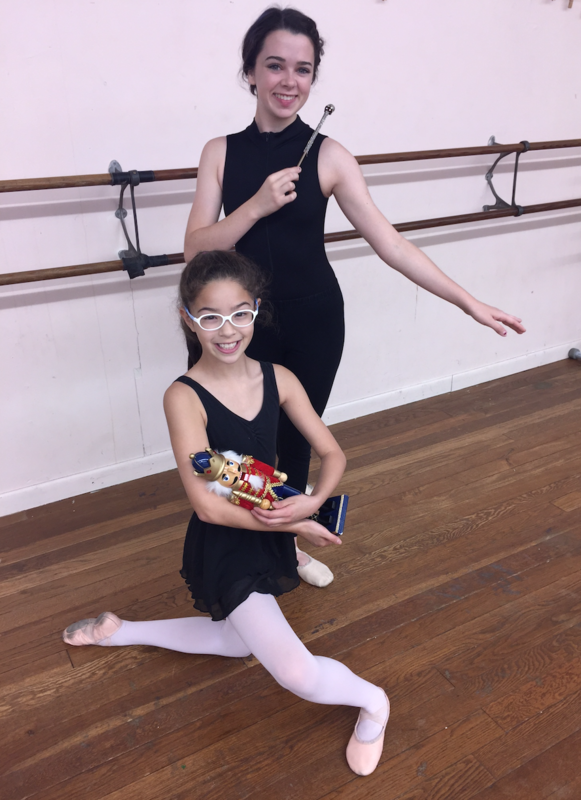 [/caption]The “Land of Sweets” will come to life as 30 Fellom Ballet intermediate and advanced dancers offer seven performance of a miniature, traveling “Nutcracker” Dec. 2 through Dec. 3 for school children, nursing home/assisted living residents and the general public. As part of Fellom Ballet’s commitment to arts in education, the cast will take their show on the road to Hammond Eastside Magnet School on Friday, Dec. 2. On Dec. 3, the cast will entertain residents of Hammond Nursing Home and Live Oak Village before a public performance at 2 p.m. at St. Albert the Great Chapel and Catholic Student Center, 409 W. Dakota St., Hammond. Admission for the public performance is one non-perishable “sweet” (boxed cake, pie or cookie mixes) to benefit The Tangi Food Pantry. Guests will be invited to decorate cookies and enjoy hot chocolate following the 38-minute performance. Portraying Clara is Sienna Guillot, who attends St. Joseph Catholic School. Playing the role of Clara’s brother, Fritz, is Katherine Thompson, who attends Hammond Eastside Magnet School. 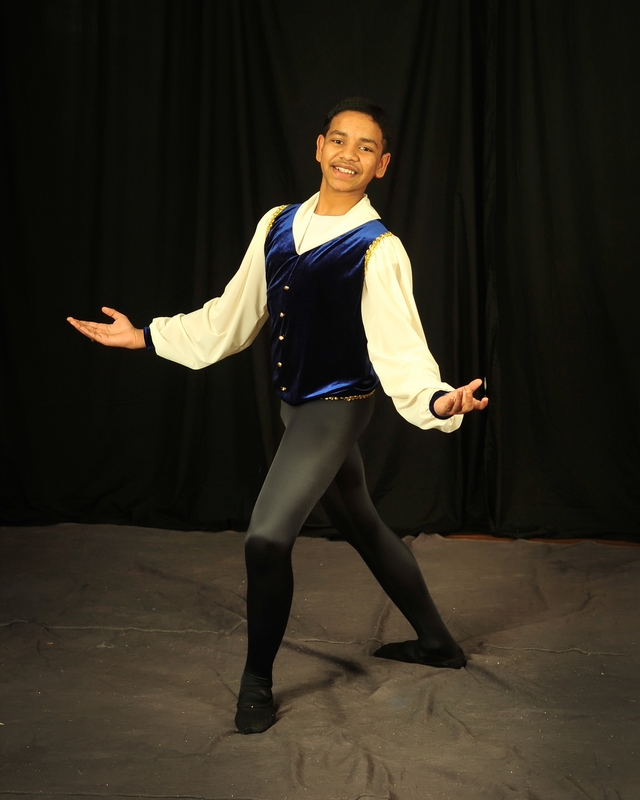 Taylor Gautreaux, of Hammond High Magnet School, will dance the role of the Sugar Plum Fairy, and Vibriyogn Epuri, also of Hammond High Magnet School, will portray the Nutcracker Prince. The cast also includes (in order of appearance): Party Children Emily Chalona of Hammond Eastside Magnet School, Addyson Karmeisool of Southeastern Louisiana University Laboratory School and Aly O’Flynn (homeschooled); Ballerina Doll Amanda Babin (homeschooled); Harlequin Dolls Katelyn Meyers of Trafton Academy and Anna Grace Hornbuckle of Holy Ghost Catholic School; Soldier Doll Amelie Dupuy (homeschooled); Snow Queen Sidney Harvey of Loranger High School; Snowflakes Isabella Delpidio of St. Joseph Catholic School and Lola Fletcher of Hammond Eastside Magnet School; Spanish Caroline Casey of St. Thomas Aquinas Regional Catholic High School and Alana Knight of Ponchatoula High School; Chinese Emma Miranda of Albany Middle School; Arabian Principal Dancer Lizzie Zaffuto of Holy Ghost Catholic School with Arabian Dancers Adelyn Lemoine of Hammond Eastside Magnet School and Emma Dare Chance (home-schooled); French Bon Bons Emma Hood of Albany Middle School, Amelie Lemoine of Hammond Eastside Elementary Magnet and Mia Piazza (homeschooled); Marzipan Abby Russell of Denham Springs High School; Russian Dancer Katherine Schepker of Hammond High Magnet School; Dew Drop Fairy Juliette LeRay of St. Thomas Aquinas Regional Catholic High School; and Flowers Eliot Chance (home-schooled), Sophia Hanna of Ponchatoula Junior High School and Abigail Thompson of Hammond Eastside Magnet School. This marks the ninth consecutive year that Fellom Ballet has presented the traveling Nutcracker as a community service project. Cynthia Fellom Tricou will serve as narrator of the ballet that was choreographed this year by Faith Allen and Maggie Rownd. For more information, call Fellom Ballet at (985) 974-3996. Fellom Ballet will present Russian composer Igor Stravinsky’s “The Firebird” Friday, May 13 at 7 p.m. and Saturday, May 14 at 2 p.m. at the Columbia Theatre for the Performing Arts in Hammond, Louisiana. Ticket prices range from $17 to $23 and can be purchased by visiting or calling the Columbia Theatre Box Office at (985) 543-4371 between the hours of 11 a.m. and 4 p.m. on weekdays, as well as 1 hour prior to each performance. Tickets also may be purchased online at www.columbiatheatre.org. In support of arts in education, a school performance also will be staged May 13 at 9:30 a.m. Reservations are still being accepted from area schools for the May 13 performance at 9:30 a.m. Interested schools should call the Columbia Theatre at (985) 543-4366 or visit www.columbiatheatre.org for more information on its education outreach program. Fellom Ballet’s story of The Firebird is told in a prologue and three acts with a 1-hour running time as adapted for children’s ballet by Martie Fellom. The story unfolds as Prince Ivan, while hunting in the forest, strays into the garden of Kashchei, whose evil cannot be destroyed unless her soul, which she keeps hidden in a great chest, is found. That’s when Ivan spots the Firebird, an enchanted creature with feathers the color of fiery flames feasting on golden apples in Kashchei’s garden. He captures the Firebird, whose magic can be used only for good. The Firebird begs Ivan to release her, which he does because he has a kind heart. As a token of thanks, she offers him an enchanted feather that he can use to summon her should he ever need help. During his time in the garden, Prince Ivan sees a group of princesses who are held captive by Kashchei and falls instantly in love with one of them, Princess Isadora. He vows to rescue Isadora and the other princesses by confronting Kashchei face to face. Just as Kashchei is about to turn Ivan to stone, he summons the Firebird. She intervenes, telling Ivan where to find Kashchei’s soul and to return with it. The Firebird rescues everyone imprisoned in the palace and frees Kashchei from her evil heart. Good triumphing over the wicked is celebrated by all in the land. Principal dancers are: Sarah Nepveux as Princess Isadora, Brianne Nix as Kashchei and Hayley Novak as the Firebird. Guest performer Jeremy Lloyd will portray Prince Ivan, and instructor Faith Allen will dance the role of Kashchei’s Soul. · Forest Fairies Abbey Alford, Lanie Babin, Emma Bravata, Adia Fisher, Edi Foster, Natalie Fulks, Genevieve Guillot, Bailey Harper, Lochlynn McNamara, Brigid O’Neill, Katelyn Renee Perk, Penny Richardson and Kelsey Tricou. 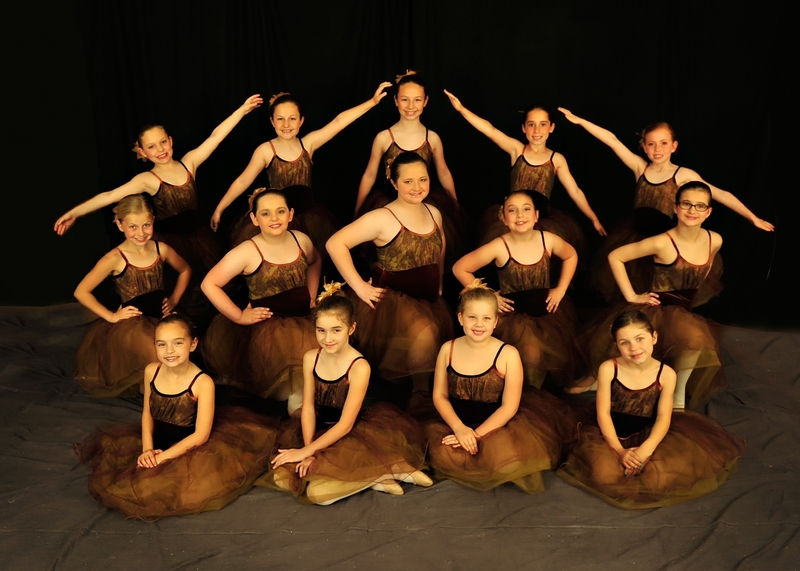 · Golden Apple Fairies Morgan Adams, Victoria Aleman, Lily Anderson, Kyndal Bankston, Caragen Catlin, Esther Kate Chance, Eliza Kate Cowser, Addisyn Cunningham, Aubrey Dearie, Emma DeJean, Gemma Drude, Brooke Dunn, Madison Duplessis, Ellie Fernandez, Lily Frederick, Vivian Gilbreath, Francesca Hanna, Lyla Henderson, Caden Knight, Annelise Lemoine, Rachel Lobue, Ella Joy Pearce, Abby Richardson, Lily Grace Rolling, Violet Sandifer, Payton Shuman, Kaitlynn Stover, Quinn Turner and Ryleigh Vutera. · Palace Guards Emily Chalona, Kendall Duncan, Averyl Fisher, Madeline Frederick, Amaiyah Griffin, Elise Harper, Kate Henderson, Tyler Labbe, Ryann Lindsey, Gracie Magee, Olivia Magee, Aly O’Flynn, Annaleigh Rawle, Isabelle Rawle, Ashlynn Shuman, Kamille Stanley and Katherine Thompson. · Lavender Mist Flowers Katherine Adams, Addyson Karmeisool, Penny Rose Lentini and Grace O’Neill. · Windflowers Anna Bravata, Molly Graff and Annabelle Owen. · Dahlias Candice Alford, Rowyn Fletcher and Brooklynn Surcouf. · Puppets Carli Anderson, Amanda Babin, Kate Bornkessel, Emma Dare Chance, Claire Chauvin, Isabella Delpidio, Amelie Dupuy, Lola Fletcher, Marianna Fulks, Sienna Guillot, Emma Hood, Anna Grace Hornbuckle, Carly Jones, Kelsey Jones, Grace Labbe, Adelyn Lemoine, Peyton McShan, Katelyn Meyers, Halia Norred, Mia Piazza, Jean Treas, Emily Villars, Harlee Watts. · Kashchei’s Thrall members Ivey Alford, RoseKathron Broadwater, Caroline Casey, Eliot Chance, Claire Folks, Sophia Hanna, Abby Harper, Amelie Lemoine, Juliette LeRay, Siri Lopinto, Shelby Matthews, Emma Miranda, Katie Miranda, Claire O’Neill, Josie Parker, Skyla Stanley, Sarah Stegall, Abigail Thompson and Julia White. · Princesses Gabi Alford, Katie Amos, Taylor Gautreaux, Abby Johnson, Alana Knight, Emily Montelepre, Abby Russell, Katherine Schepker, Hannah Tribou, Kaitlyn Tribou, and Lizzie Zaffuto. Choreographers include Faith Allen, Kelly Domiano, Claire Draper, Emily Randon, Maggie Rownd, Erica Tricou and Cynthia Fellom Tricou. Artie Fellom Gautier, Cynthia Fellom Tricou, Martie Fellom and Maggie Rownd serve as artistic directors, and narrator is Avril Font. 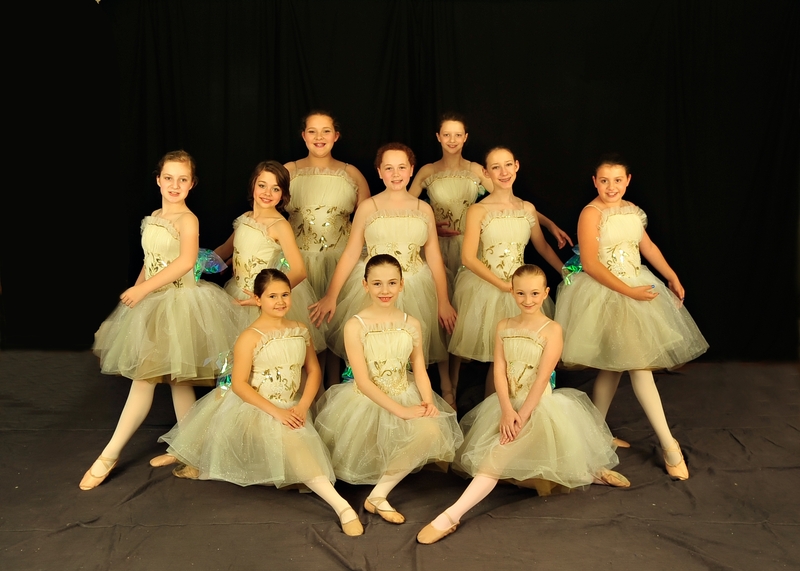 To register dancers for upcoming summer programs or the 2016-2017 studio schedule and cast of “The Frog Prince,” visit www.fellomballet.com or call Fellom Ballet at (985) 974-3996. 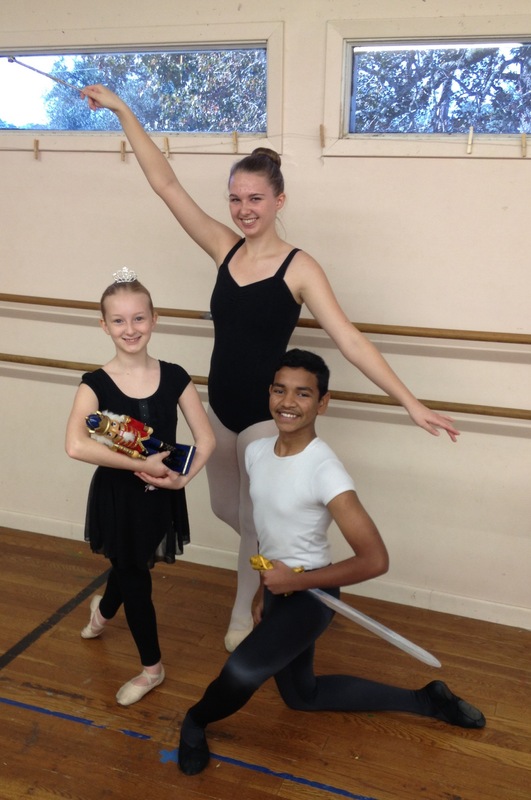 Counterclockwise, Amelie Dupuy will dance the role of Clara with Vibriyogn Epuri as the Nutcracker Prince and Katherine Schepker as the Sugar Plum Fairy in Fellom Ballet’s 8th Annual Traveling Nutcracker Dec. 4-5. Schepker and Epuri attend Hammond High Magnet School, and Dupuy is home-schooled. [HAMMOND, La. 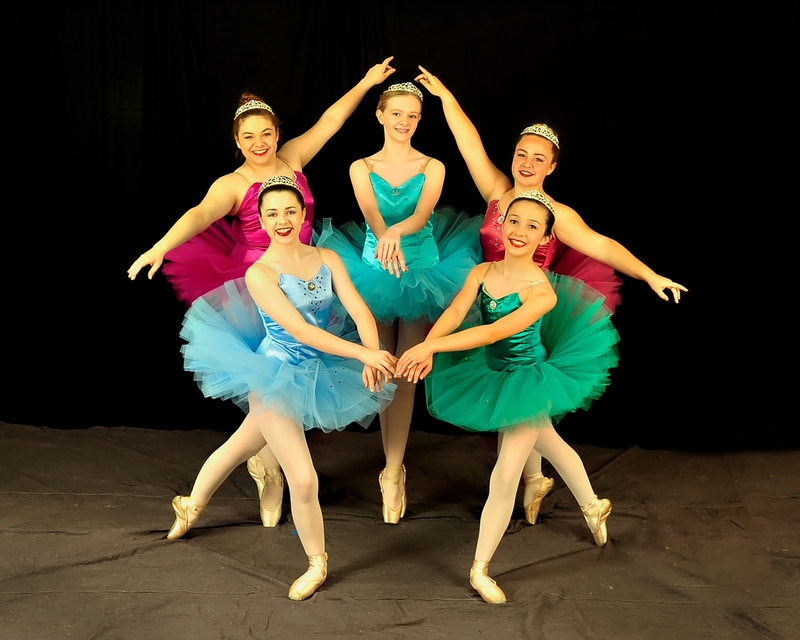 ]—The “Land of Sweets” will come alive as more than 40 Fellom Ballet intermediate and advanced dancers offer seven performances of a “mini” traveling “Nutcracker” Dec. 4-5 for school children, nursing home/assisted living residents and the general public. As part of Fellom Ballet’s commitment to arts in education, the cast will take their show on the road to Champ Cooper Elementary School and Hammond Eastside Magnet School on Friday, Dec. 4. On Dec. 5, the cast will entertain residents of Hammond Nursing Home and Live Oak Village before a public performance at 1 p.m. at St. Albert the Great Chapel and Catholic Student Center, 409 W. Dakota St., Hammond. Admission for the public performance is one non-perishable “sweet” (boxed cake, pie or cookie mixes) to benefit The Tangi Food Pantry. Guests will be invited to decorate cookies and enjoy hot chocolate following the 38-minute performance. Portraying Clara is Amelie Dupuy, who is home-schooled. Playing the role of Clara’s brother, Fritz, is Emma Hood, who attends Albany Upper Elementary. Katherine Schepker, of Hammond High Magnet School, will dance the role of the Sugar Plum Fairy, and Vibriyogn Epuri, also of Hammond High Magnet School, will portray the Nutcracker Prince. Guest performers include Mick Hawkins of Hammond as Godfather Drosselmeyer; and Dillon Maloney of Springfield High School as the Rat King. The cast also includes (in order of appearance): Party Children Amanda Babin, Emma Dare Chance and Mia Piazza (all home-schooled), as well as Jean Treas of St. Joseph Catholic School; Ballerina Dolls Claire Folks of Springfield Elementary School; Harlequin Dolls Claire O’Neill (home-schooled) and Abigail Thompson of Hammond Eastside Magnet School; Soldier Doll Caroline Casey of St. Joseph Catholic School; Snow Queen Gabi Alford of Hammond Eastside Magnet School; Snowflakes Claire Chauvin of Holy Ghost Catholic School, Sienna Guillot of St. Joseph Catholic School, Anna Grace Hornbuckle of Holy Ghost Catholic School, Carly Jones (home-schooled), Adelyn Lemoine of Hammond Eastside Magnet School and Halia Norred of Courtney Christian School; Spanish Soloist Taylor Gautreaux, of Hammond High Magnet School; Chinese Soloist Lizzie Zaffuto, of Holy Ghost Catholic School; Arabian Principal Dancer Alana Knight of Ponchatoula High School with Arabian Dancers Amelie Lemoine of Hammond Eastside Magnet School and Eliot Chance (home-schooled); French Bon Bons Ivey Alford (home-schooled), Abby Harper of Ponchatoula Junior High School, Juliette LeRay of Holy Ghost Catholic School and Emma Miranda of Albany Junior High School; Marzipan Principal Dancer Hayley Novak (home-schooled) and Marzipan Dancers Sophia Hanna of Ponchatoula Junior High School, Shelby Matthews of Hammond Junior High Magnet School, Katie Miranda of Albany High School and Skyla Stanley of Hammond Eastside Magnet School; Russian Dancer Abby Russell of Denham Springs Freshman High School; Dew Drop Fairy Siri Lopinto of Champ Cooper Elementary School; and Flowers Isabella Delpidio of St. Joseph Catholic School, Kelsey Jones (home-schooled), Malyn Rolling of Southeastern Laboratory School and Emily Villars (home-schooled). This marks the eighth consecutive year that Fellom Ballet has presented the traveling Nutcracker as a community service project. 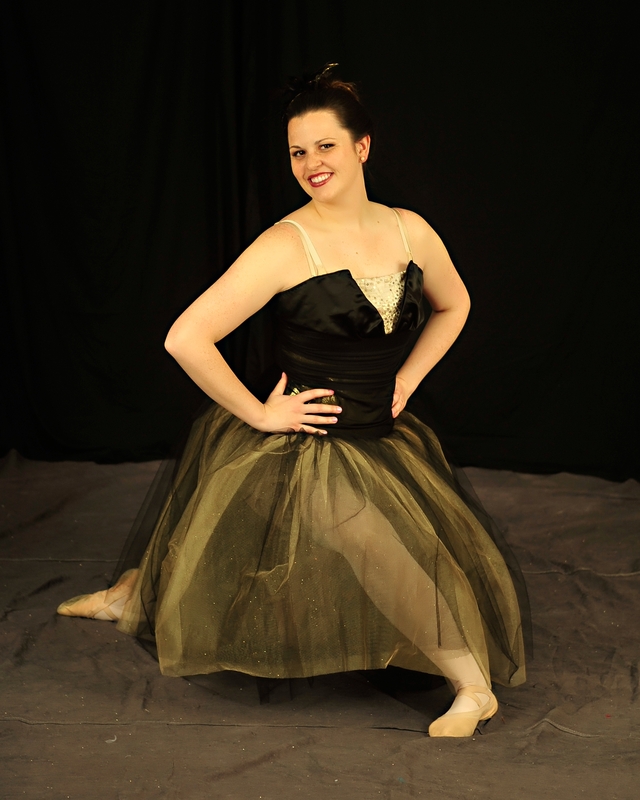 Cynthia Fellom Tricou will serve as narrator of the ballet that was choreographed this year by Kelly Maloney Domiano. For more information, call Fellom Ballet at (985) 351-8518. You also can get more information by visiting www.fellomballet.com or the studio’s Facebook page. 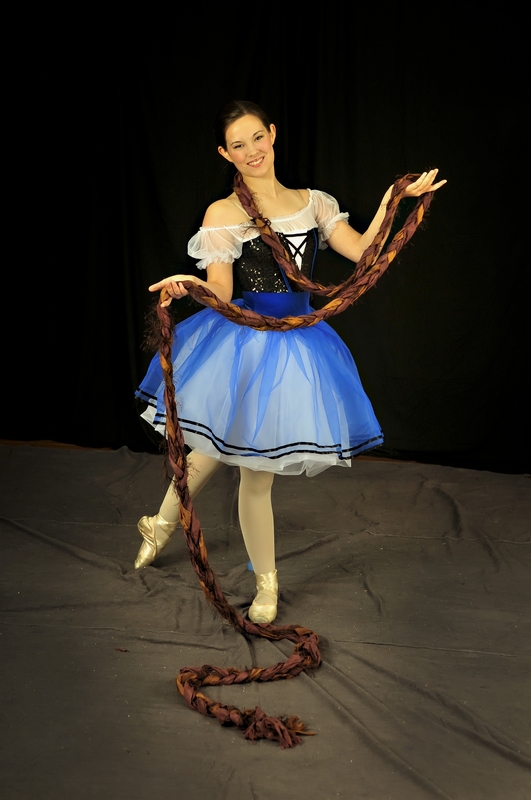 Brianne Nix, a junior at Hammond High Magnet School, dances the principle role of Rapunzel. Katherine Schepker, a freshman at Hammond High Magnet School, dances the principle role of Gothel, the Ogress. Gothel’s Gremlins are: (seated, from left) Kendall Duncan, Ashlyn Walker, Aly O’Flynn, Averyl Fisher, Isabella Massa, Lexie Bella Moskau, (kneeling, from left) Hailey White, Lola Fletcher, Emily Monistere, Emily Chalona, Emma Dare Chance, Katherine Thompson, (standing, from left) Marianna Fulks, Isabella Delpidio, Adelyn Lemoine, Claire Chauvin, Emily Villars and Sienna Guillot. Gothel’s Gnomes are: (seated, from left) Malyn Rolling, Kate Henderson, Noelie Binner, Riley Bankovic, (kneeling, from left) MaggieFrances Broadwater, Peyton McShan, Riley O’Flynn, Addyson Karmeisool, Theresa Blanchard, (standing, from left) Harlee Watts, Anna Foster, Ali Foster, Emma Nicaud and Jean Treas. Fairies of the Morning are: (seated, from left) Ella Joy Pearce, Alex Ferrand, Abigail Richardson, Penny Rose Lentini, Annaleigh Rawle, (kneeling, from left) Brooke Dunn, Madison Duplessis, Esther Kate Chance, Madeline Frederick, Elise Harper, (standing, from left) Brooklynn Miller, Gracie Magee, Grace O’Neill, Olivia Magee and Payten Silewicz. 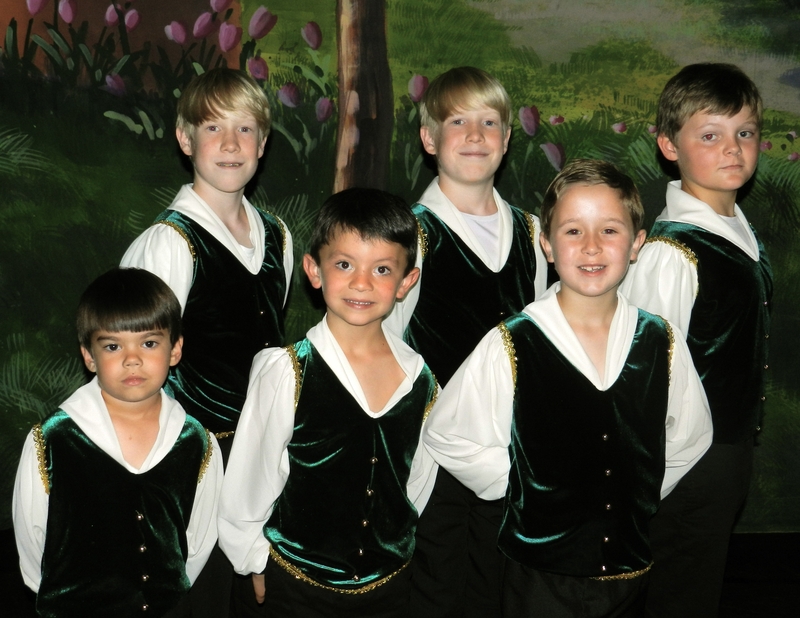 The King’s Pages are: (first row, from left) Hayes Fisher, Jack Meyers, Tyler Labbe, (second row, from left) Abe Chance, Jake Chance and Mac Anderson. Fairies of the Floating Lights are: (kneeling, from left) Izzy Parker, Emma Hood, Amelie Dupuy, (standing, from left) Sarah Stegall, Julia White, Abigail Mitchell, Abigail Thompson, Shannen Alack, Amelie Lemoine and Katelyn Meyers. Fairies of the Floating Lights are: (kneeling, from left) Anna Grace Hornbuckle, Eliot Chance, Carli Anderson, Mia Piazza, Skyla Stanley, (standing from left) Claire Folks, Kate Bornkessel, Claire O’Neill, Grace Labbe, Tana Grace Cashio. Bluebirds are: (front row, from left) Emma Sumrall, Kelsey Tricou, Ella Hornbuckle, Sarah Dosch, Lily Frederick, (second row, from left) Emma DeJean, Quinn Turner, Olivia Jump, Caragen Catlin, Addisyn Cunningham, (third row, from left) Kinley Campbell, Brigid O’Neill, Kaitlynn Stover, Madilyn Rocquin and Kadie Jane Steib. Fairies of the Evening are: (seated, from left) Kamille Stanley, Payton Shuman, Lily Grace Rolling, Audrey Titus, Gemma Drude, (kneeling, from left) Morgan Adams, Lily Anderson, Anna Bravata, Madeline Director, Annelise Lemoine, (standing, from left) Ryann Lindsey, Molly Graff, Ashlynn Shuman, Candice Alford and Rowyn Fletcher. Queen’s Pages are: (front row, from left) Victoria Aleman, Natalie Fulks, Bailey Harper, Eliza Kate Cowser, (second row, from left) Sophie Juin Meaux, Caden Knight and Rachel Lobue. Gothel and her Ginions are: (kneeling, from left) Hannah Tribou, Alexandra Crovetto, (standing, from left) Emily Montelepre, Katherine Schepker, Alana Knight. Queen’s Attendants are: (seated, from left) Emma Miranda, Claire Krousel, Josie Parker Kneeling: Juliette LeRay, Ivey Alford, (standing, from left) Lyndsi Pierre, Caroline Casey, Shelby Matthews, Abby Harper, Katie Miranda, Fiona Hawkins, Siri Lopinto. Entrapped in a tower, Rapunzel is comforted by visits from her songbird friends and little bluebirds while her sisters never give up searching for her. Pictured, clockwise, are: Brianne Nix as Rapunzel; Abby Russell as the Peacock, Abby Johnson as the Dove, Hayley Novak as Rapunzel’s Sister; Katie Amos as the Hummingbird; Olivia Lowentritt as the Cardinal; Kaitlyn Tribou as the Bluebird; and Elizabeth Zaffuto as Rapunzel’s Sister. Rapunzel’s Sisters are: (first row, from left) Taylor Gautreaux, Elizabeth Zaffuto, (second row, from left) Sarah Nepveux, Hayley Novak and Gabi Alford. Rapunzel’s Songbird Friends are: (kneeling, from left) Kaitlyn Tribou, Olivia Lowentritt, (standing, from left) Abby Russell, Abby Johnson and Katie Amos. Rapunzel, portrayed by Brianne Nix, is entrapped in a tower hidden deep in the woods by the ogress Gothel, portrayed by Katherine Schepker, in Fellom Ballet’s adaptation of the classic children’s fairy tale. [HAMMOND, La. 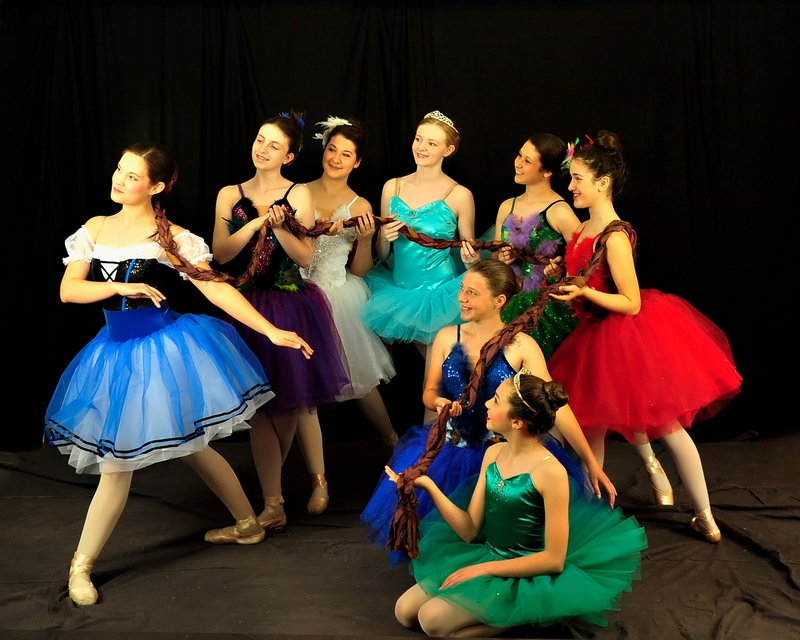 ]—Fellom Ballet will culminate their 50th year of performing arts education with presentations of “Rapunzel” Friday, May 15 at the Columbia Theatre for the Performing Arts. Both an evening performance and educational outreach matinee for school children are sold out. 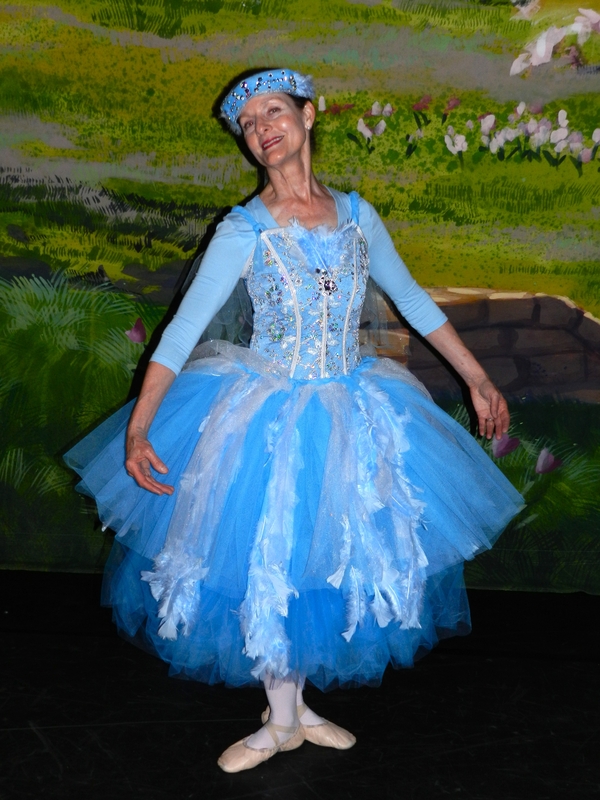 Adapted by Martie Fellom, the children’s fairy tale ballet features the works of several composers, including Leo Delibes, Ferdinand Hérold, Sergei Rachmaninov and Camille Saint-Saens. Choreographers include Cynthia Fellom Tricou, Martie Fellom, Claire Draper, Holly Heil, Emily Randon, Maggie Rownd and Desiree Wardsworth. Artie Fellom Gautier and her sisters serve as artistic directors, and the ballet is narrated by Avril Font. 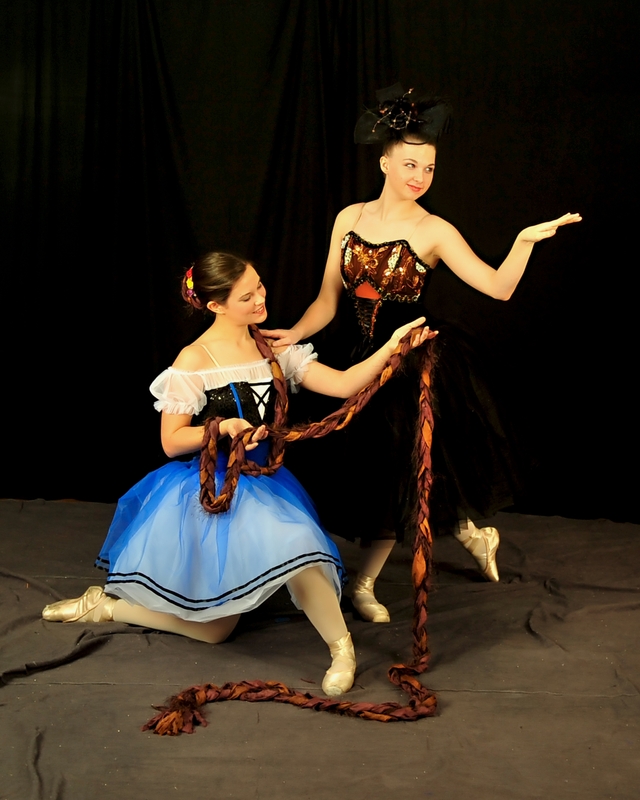 Principle dancers are: Brianne Nix as Rapunzel, Katherine Schepker as Gothel and Elizabeth Orgeron as Young Rapunzel. · Queen’s Pages Victoria Aleman, Eliza Kate Cowser, Natalie Fulks, Bailey Harper, Caden Knight, Rachel Lobue and Sophie Juin Meaux. 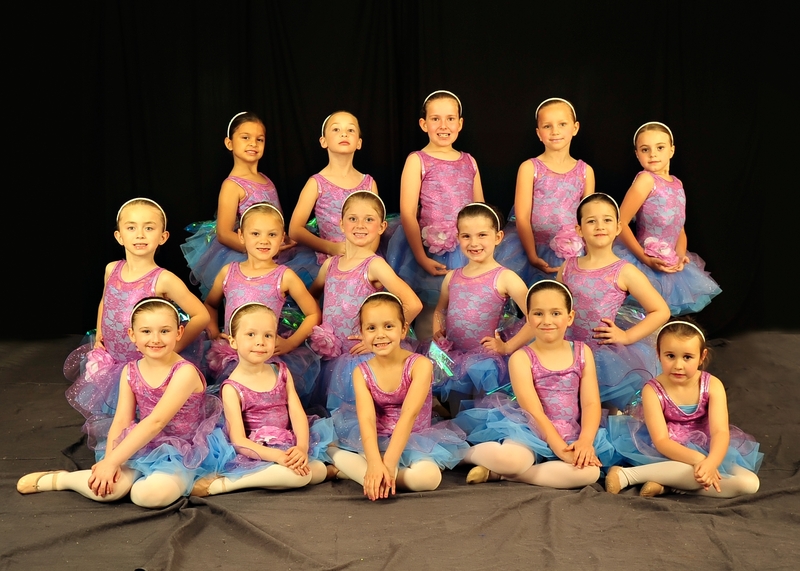 · Bluebirds Kinley Campbell, Caragen Catlin, Addisyn Cunningham, Emma DeJean, Sarah Dosch, Lily Frederick, Ella Hornbuckle, Olivia Jump, Brigid O’Neill, Madilyn Rocquin, Kadie Jane Steib, Kaitlyn Stover, Emma Sumrall, Kelsey Tricou and Quinn Turner. 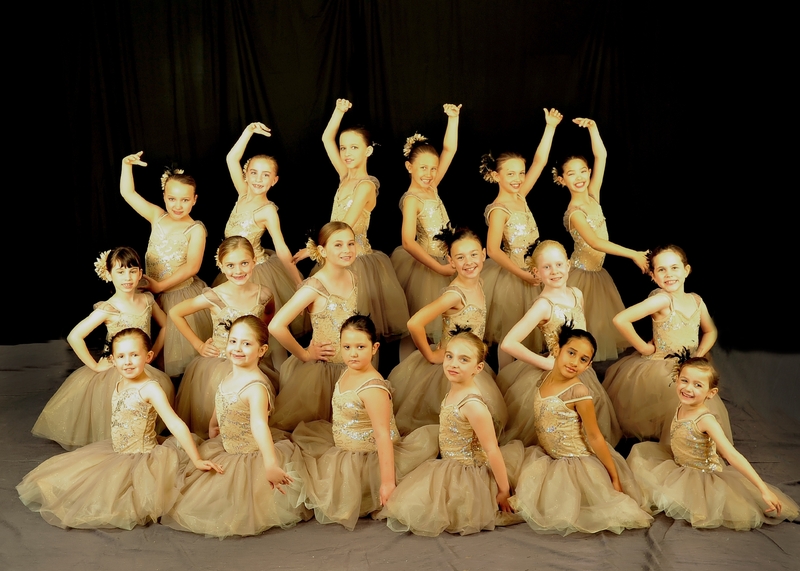 · Fairies of the Morning Esther Kate Chance, Brooke Dunn, Madison Duplessis, Alex Ferrand, Madeline Frederick, Elise Harper, Penny Rose Lentini, Gracie Magee, Olivia Magee, Brooklynn Miller, Grace O’Neill, Ella Joy Pearce, Annaleigh Rawle, Abigail Richardson and Payten Silewicz. 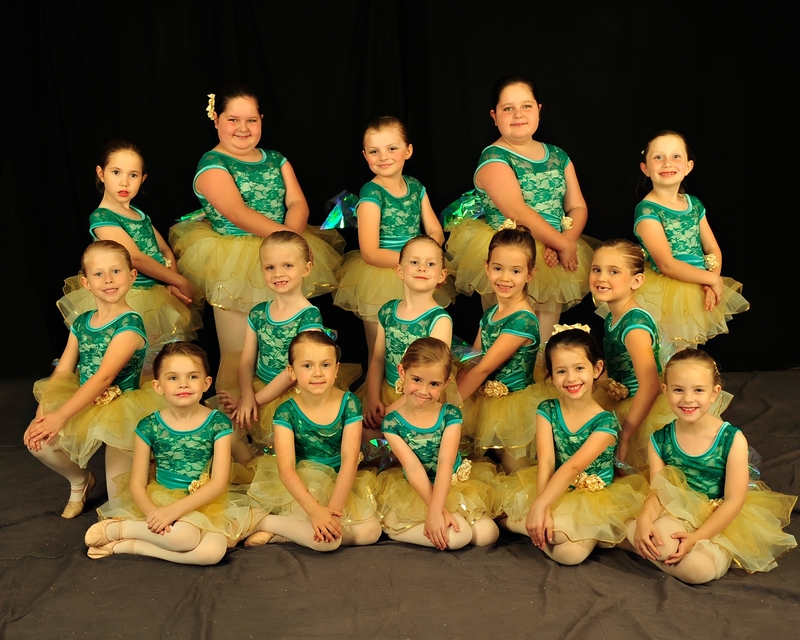 · Fairies of the Evening Morgan Adams, Candice Alford, Lily Anderson, Anna Bravata, Madeline Director, Gemma Drude, Rowyn Fletcher, Molly Graff, Annelise Lemoine, Ryann Lindsey, Lily Grace Rolling, Ashlyn Shuman, Payton Shuman, Kamille Stanley and Audrey Titus. · Gothel’s Gremlins Emily Chalona, Emma Dare Chance, Claire Chauvin, Isabella Delpidio, Kendall Duncan, Averyl Fisher, Lola Fletcher, Marianna Fulks, Sienna Guillot, Adelyn Lemoine, Isabella Massa, Emily Monistere, Lexie Bella Moskau, Aly O’Flynn, Katherine Thompson, Emily Villars, Ashlyn Walker and Hailey White. · Gothel’s Gnomes Riley Bankovic, Noelie Binner, Theresa Blanchard, MaggieFrances Broadwater, Ali Foster, Anna Foster, Kate Kenderson, Addyson Karmeisool, Peyton McShan, Emma Nicaud, Malyn Rolling, Jean Treas and Harlee Watts. · Fairies of the Floating Lights Shannen Alack, Carli Anderson, Kate Bornkessel, Tana Grace Cashio, Eliot Chance, Amelie Dupuy, Claire Folks, Emma Hood, Anna Grace Hornbuckle, Grace Labbe, Amelie Lemoine, Katelyn Meyers, Abigail Mitchell, Claire O’Neill, Izzy Parker, Mia Piazza, Skyla Stanley, Sarah Stegall, Abigail Thompson and Julia White. · Queen’s Attendants Ivey Alford, Caroline Casey, Abby Harper, Fiona Hawkins, Claire Krousel, Juliette LeRay, Siri Lopinto, Shelby Matthews, Emma Miranda, Katie Miranda, Josie Parker and Lyndsi Pierre. 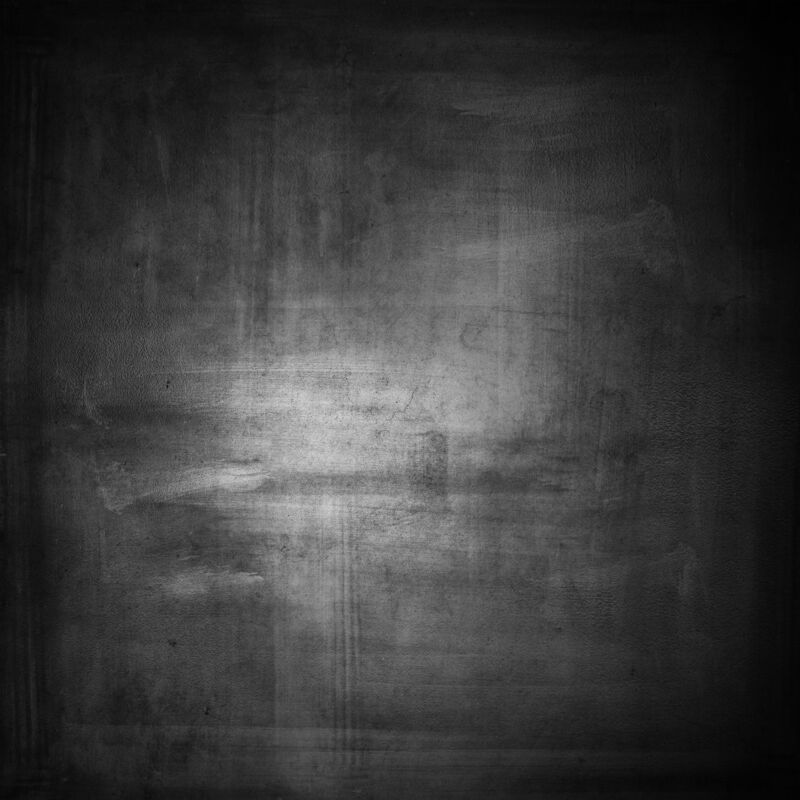 · King’s Squire Vibriyogn Epuri. · Rapunzel’s Songbird Friends Katie Amos (Hummingbird), Abby Johnson (Dove), Olivia Lowentritt (Cardinal), Abby Russell (Peacock) and Kaitlyn Tribou (Bluebird). · Gothel’s Ginions Alexandra Crovetto, Alana Knight, Emily Montelepre and Hannah Tribou. · Rapunzel’s Sisters Gabi Alford, Taylor Gautreaux, Sarah Nepveux, Hayley Novak and Elizabeth Zaffuto. Guest performers are: John Forrest Duplantier as the Prince, Mick Hawkins as the King, and dancer’s siblings Mac Anderson, Abe Chance, Jake Chance, Tyler Labbe, Hayes Fisher and Jack Meyers as the King’s Pages. Special characters include: Michelle Bates as the Queen; Claire Draper as Luna; Holly Heil as Keeper of the Rapunzel Herb and Soleil; Emily Randon as the Gnome Guardian; Maggie Rownd as the Gremlin Guardian; and Cynthia Fellom Tricou as the Bluebird of Happiness. In addition, Fellom family members, alumni and friends will perform as Fairies of the Kingdom in the finale of the ballet. 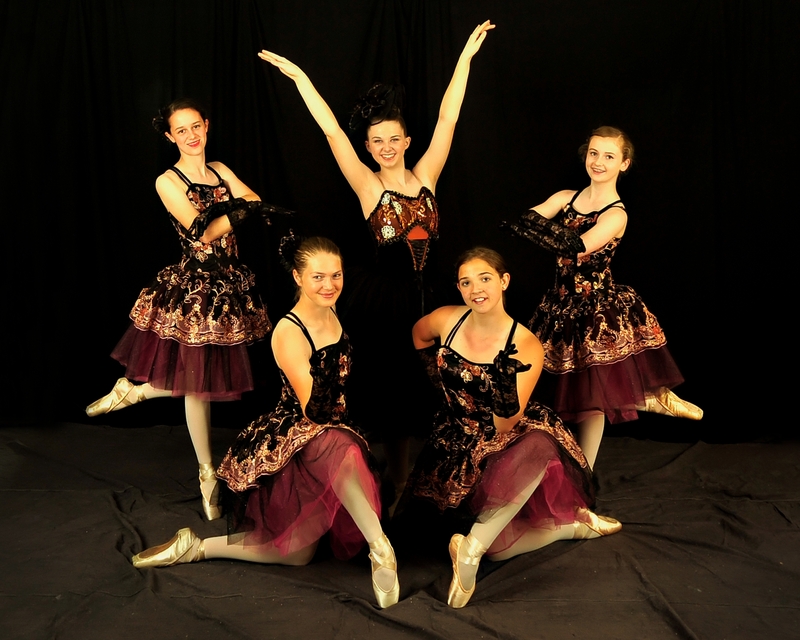 To register dancers for upcoming summer programs or the 2015-2016 studio schedule and cast of “The Firebird,” call Business Director Maggie Rownd at (985) 351-8518. Vibriyogn Epuri is the King’s Squire.